An almost unbelievable story began in March of 2005 in the village church of the tiny town of Belitz (Prebberede) near Rostock, Germany. 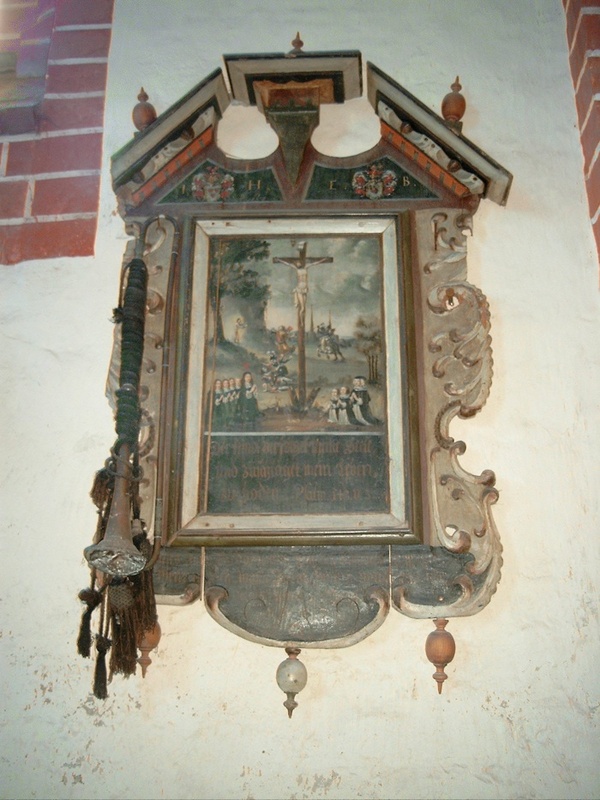 I stood speechless in the sanctuary of the church, which is unusually large for the number of residents of the village, staring at a badly tarnished, dented, and easily overlooked trumpet that was hanging from a rusty nail on the wall next to a memorial plaque with a painting. At first sight, it was immediately clear that this was something special – a long natural trumpet wrapped with cord. A few seconds later, I was certain that this was indeed a rare find. 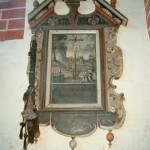 Engraved on the bell garland was „Wolff Birckholtz, Nürnberg 1650“. 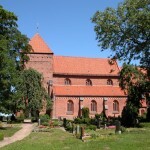 An original without question – and in here Mecklenburg – and in 2005! How could this be? But the story actually began many years earlier. 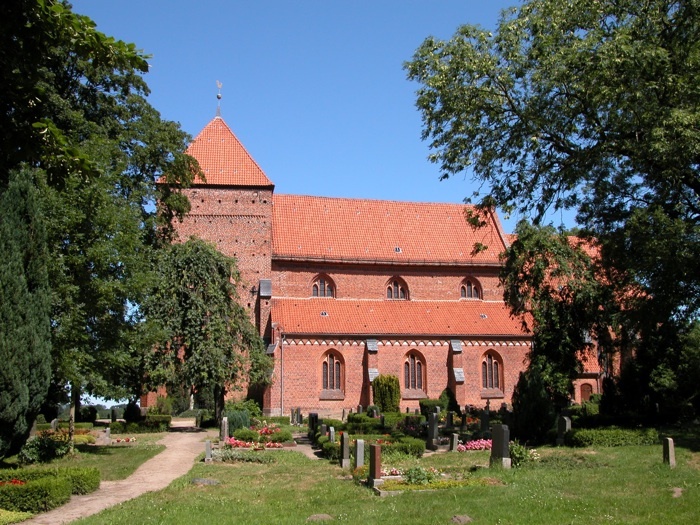 The Rostock church music director, Hartwig Eschenburg was on a concert tour through Mecklenburg with his choir when he happened to notice the trumpet during a concert in the church in Belitz. It was several years later (!) that he told me of his discovery. The note that I made at the time described it as: “Brown trumpet tied together with cord”. In my mind it seemed obvious – probably a military instrument from the first World War, of which there are many examples on the market. And so I put the note in my calendar, and at the end of the year I transferred it to the new calendar, and so on through 7 years and 7 new calendars. At this time there were reports in the early instrument world of a sensational find of original musical instruments in the Freiberg cathedral in Saxony. The instrument world was in an excited state over these discoveries, and this brought back into my mind the note in my calendar. If things of this sort happen in Saxony, why not here in Mecklenburg too? The last nudge to check this out was the German ARD Television special series; „Im Gutshaus zu Belitz“ (At the manor house of Belitz). There was something about a trumpet in Belitz………. It was astounding to think that just 3 kilometers from Belitz lies the town of Prebberede, where I had been the organizer of a yearly open-air classical concert every summer since 1996, and I can’t say how many times I drove past the church in Belitz without making the connection in my mind.